Automotive painting is all about that Class A ultra-smooth paint finish. To achieve that you need a paint booth designed from the ground up to facilitate the automotive painter’s needs and be rugged enough to withstand the punishment that a high production shop can put a booth through. You need rugged finesse and that begins with the automotive painting process in mind. More like – It’s all about the painting environment – Clean, great airflow and optimal lighting. Some of our competitors began as industrial paint booth manufacturers who added automotive booths to meet a demand in the market place. The problem is that you can’t simply take an industrial booth, scale it down and call it an automotive spray booth. The two are not the same, and neither is the finish quality. The Garmat mindset began in the automotive paint booth manufacturing, and while we offer industrial applications, the automotive industry is still in the DNA of every booth we manufacture. We understand the collision repair process, and we are the leader in innovation. 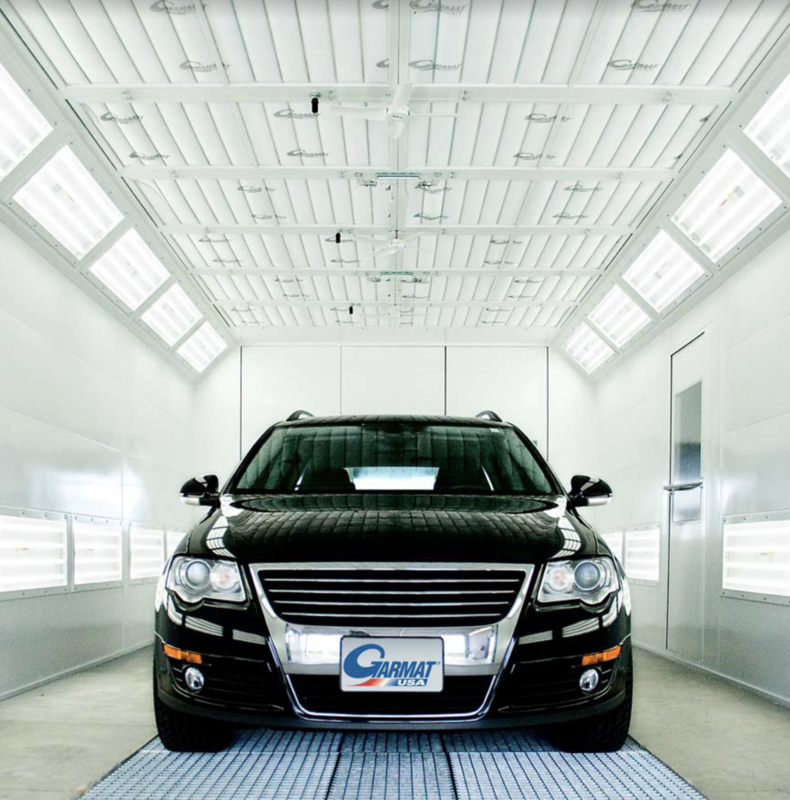 With several patented airflow technologies in our modified downdraft spray booths, a patented Accele-Cure Air Accleration System for advanced curing options we have set the standard for what an automotive booth should be. Each paint booth is built right here in the USA from our production facility in Colorado.